It says the GPSMAP 740 download is 1.13GB. A 32GB card is maximum you can use for that download, according to the instructions. So, you can get away with a 2GB or 4GB if you have it. If its only about a 1 GB chart, it's far from large. The Navionics 906 chip is about 9.7 gb. But even that is far from large. If that really is the size of it and the chart covers a reasonable size geographic area, what that means is the NOAA multibeam data or Lidar data on G3 was not processed to it's full resolution so that when the user zooms in it goes fuzzy. Just like what happens on the Navionics chips with photos. Its not that big of deal for the very deep areas but for the shallow areas near shore where the higher res data was collected, it is a big deal. If it was fully processed native multibeam or lidar data, the size would be nearly 32 GB for a decent size chart. A good portion of the native data was high res collected at about 50 cm. But if its only a 1 gb or a few gb or even a 10 gb chart product, it clearly was not fully processed. Based on the chip size it was probably processed to no better than 4 meters as opposed to say 1/2 meter or 1 meter. Thus, if that is the case, it would not truly be "high res" by definition although it could have been delivered that way for the areas that were collected at 50cm. It is impossible to deliver a small chip of high res data unless you are only covering a very small area. You still won't catch any fish. The high relief shading pictured is only on the optional G3 Vision charts not the new G3 base map. From what I read, there are some popular areas without the coverage also. 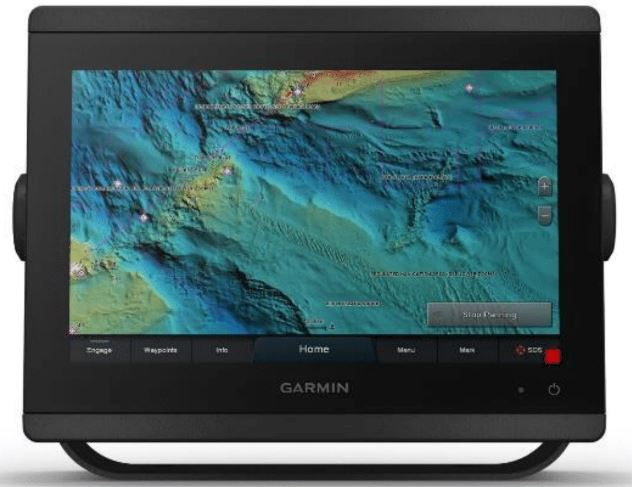 Before you pay for the G3 Vision, make sure your chartplotter will depcit the high relief shading. Garmin lists my 1040XS as "compatible" with the G3 Vision and it is.... except for the high releif shading! Also, everyone seems to have trouble with very slow processing when using the merged imagery and charts. Mine is not usuable for running with it merged so I turned it off. Without high relief shading and without the sat photo imagery merged, I basicaly have a G2 Vision map. My G2 Vision maps were 4 years old and I get a nice discount on Garmin so it didn't hurt as bad financially to learn of those disappointments but I was very disappointed that to learn I won't ever see high releif shading without replacing the chartplotter and even with a 8612xsv it seems the merged overlays is still a problem. There are some threads on THT about it. Obviously, this is all new. The guy at Bass Pro today said a couple other people have had this problem. They called Garmin and got their plotter updated and then installed the new software update. After that, they apparently were able to get the Relief Shading.